If you're a shopper of any kind, consider using one of these mobile shopping apps. All eight are 100% free and work in various ways to save you money while you shop or even after you're done shopping. Some of these apps are useful for displaying coupons as you're checking out or giving you online discount codes. Others can load discounts directly onto your loyalty card to be applied when you make the purchase, and some have you take a picture of your receipt to get money back later. A few of these apps are even useful if you're not ready to buy anything and just want to be notified when something is on sale, or if you need to see where is the cheapest place to buy something. 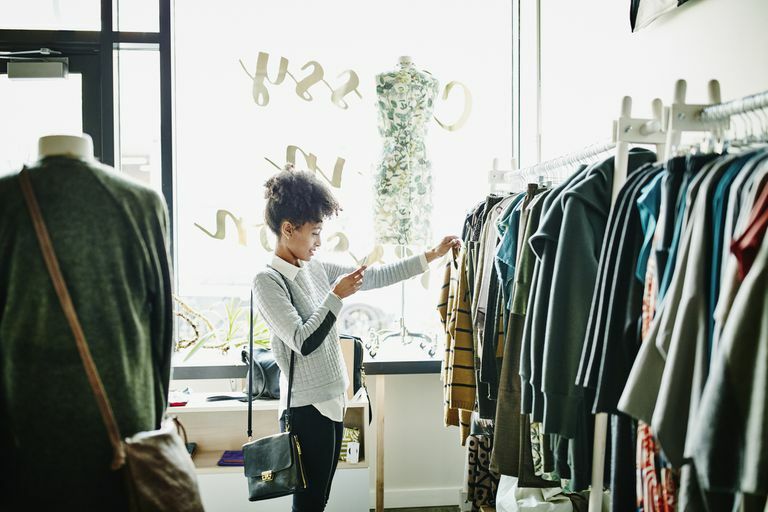 No matter how they work, consider using one or all of these free shopping apps when it's time to pay for anything, big or small. Convenient access to store flyers. Easy matching of items to sales. Can search locations only by ZIP code, not areas. Some major retailers aren’t yet listed. Flipp is a mobile shopping suite with multiple features. You can browse shopping ads, load coupons directly onto your loyalty card, upload receipts to earn rebate money, and even build a shopping list. Flipp makes it super easy to browse for deals by store or category. For example, you can quickly scroll through the list of categories to find deals in groceries and other items like household, baby, and health products. Or, you can pick a store to see all the deals in that store only. Use the Load to Card section to find deals that you can import directly into your loyalty card so that you can have them apply in stores when you use that specific card information during a purchase. If you've chosen rebates, use the Redeem Rebates button to scan the receipt and verify with Flipp that you did make those purchases. You can redeem rebate earnings through PayPal after you've made any amount. Good deals make trying new items appealing. Camera occasionally fails to focus well or capture light text. Having to photograph receipts for stores without a loyalty card. Ibotta has you scan your receipts to get money back on your purchases. There aren't always money-back offers for everything you buy, but it's a great app to look at before you commit to anything so that you can find the best deals. Open the app and search for a store - maybe it's one you just shopped at or will visit soon, or maybe you're just scoping out prices. Find the deals that the store is offering and then add them to My Offers. After you get the receipt back, scan it with the Redeem button to have Ibotta verify that you bought whatever it is that you say you bought. Ibotta also works with some online stores. Just choose the website you're going to shop at and then open the website through Ibotta. Ibotta will monitor what you buy and then reward you for using their app to make the purchase. You can cash out through PayPal, Venmo, or a gift card. Most of them require that you have at least $20 in your account before you can get paid. RSS feeds for front-page, popular, and trending deals. Automatic alerts for desired items. Includes deals placed by advertisers. Slickdeals is one of the best shopping alert apps. What this means is that you can set up alerts with Slickdeals to notify you when certain types of deals are active, and then you can quickly open the app for more details and to take advantage of them to save money. For example, if you want to get notified when there's an Apple iPad for sale, you can add the word ipad to a new deal alert. For a more specific alert, you can also add other criteria like to make sure the deal has a rating above 3 and that it's on the Black Friday Deals list (vs another like Cyber Monday or Hot Deals). You can also browse through deals on Slickdeals. There's a Featured, Frontpage, and Popular section on the app's home screen, but also a number of specific categories you can find deals in, such as Autos, Children, Books & Magazines, Computers, Flowers & Gifts, and others. In addition to all of this, Slickdeals also offers coupons to a number of stores as well as several discussion forums where users can talk about new and exciting deals that they've found (you can even set up deal alerts for those forums). Can link credit cards to earn cash automatically whenever you shop. Easy way to earn rebates on items you’d buy anyway. Must remember to shop through app to earn rebates. Must remember to use card as credit (not debit) to earn rebates. Every three months, Ebates pays you real cash on purchases that you made through its app. You're paid (if you made over $5) just by stopping in on the Ebates app before you buy the things that you were already going to buy. Just sign up for an account, choose which store you are buying from, and then complete the purchase like normal from the retailer. All the cash back details happen in the background, and then you're notified when you earned money for shopping. Ebates is also a good choice if you're shopping for deals without a destination store in mind. The only hassle (if you can even call it that) on your part is opening the Ebates app before you land on the website. For example, if you find that you can book a hotel through Ebates and get 10% back, but booking without Ebates at a different (or even the same) hotel offers no deals, then you can utilize the Ebates app to get cash back. Ebates also offers in-store cash back that works by adding your payment card information to the Ebates app and then shopping at discounted stores to automatically get money back after you pay. Known for reviews from verified buyers. Amazon is an online retailer known for offering a huge range of products, usually for a cheaper price than other places. The mobile app doesn't just let you buy things from Amazon but also scan physical items to see if you can get them cheaper through Amazon. Built-in to the app is a product search tool that can scan a physical object and search Amazon for it, as well as a barcode scanner that does the same but by scanning the bar code. Use these tools to see if an item is cheaper on Amazon versus in other stores. Once you're viewing a product, Amazon offers related items as well as items that other Amazon users have purchased with that one. Because Amazon has a huge number of users, the app is also helpful for checking user reviews for a product before you buy it, even if you're making the purchase in stores. Just search for the item and then see what other people are saying about it. Good way to keep coupon codes handy for in-store shopping. Occasionally, a retailer won’t accept a code. Gift card purchases have been problematic. If you're looking for an app that can give you coupons and deals wherever you are, check out RetailMeNot. It works both online and inside stores (including restaurants), by showing you a digital coupon that you can scan in the store or a coupon code that you can use online. For example, say you're shopping for a phone charger at a Best Buy store. You open RetailMeNot, search for deals at Best Buy, and find that there's a 20% off discount that you can use in the store for mobile charging devices. Just tap the button to get a code that the cashier can scan to redeem the discount. If you're shopping in a mall, use RetailMeNot to see a bird's eye view of the mall's stores plus all of the discounts you can take advantage of while you're there. RetailMeNot also has cash back offers that you can take advantage of, which will earn you money as you shop by sending cash over PayPal after you've made the purchase. This works by opening the deal through RetailMeNot and then finishing the purchase on the retailer's website. Transfers to Venmo account take just one day. Earn money on purchases you’re planning to make regardless of sales or discounts. Cash not available until you earn a specified amount. "Link your card, live your life, get cash" is how Dosh is advertised, and that's exactly how it works: you get cash back automatically by just using your debit/credit card in stores like you normally do. However, you also get cash back online when you use the Dosh app to access websites with cash back offers. Use the Online section of the app to find websites that Dosh will give you money to use, and then just buy things normally through the retailer's site to get some free money. Dosh also has a handy feature that lets you find hotels that are offering the biggest cash payouts. Just choose a location to see what hotels cost in that area, as well as how much cash you'll get for each booking. You can withdraw your Dosh cash through your bank or PayPal account once you've collected $15. There are even some apps that will pay you to shop! Check out our article: Apps That Pay You to Shop for Groceries to learn more.